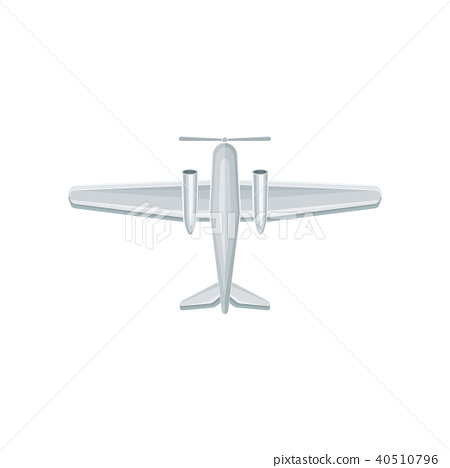 Illustration of airplane with propeller on nose. Air transport. Icon related to aviation theme. Top view. Graphic element for poster or game. Colorful flat vector icon isolated on white background.